After a long list of the leaked images of iPhone 7 which varied from design to colors. Now we have a leaked video of iPhone 7 (as claimed by the video owner), watch the video below. A video published in China shows a person holding two devices that the creators claims is iPhone 7. While it’s unknown about the authentication of the video and device shown in the video, they appear seems to similar as per the earlier rumors surrounding about the Apple’s next iPhone. Showing the rumored features like a bigger camera lens and revised antenna lines, which would help the device better connect to cellular networks. As the person holding the devices shows the bottom, two speaker grills can be seen; suggesting earlier reports that Apple is eliminating the headphone jack in favor of stereo speakers might be true. The video is earlier reported by 9to5Mac. Authentication of the device in the video should be taken with the pinch of salt. As Apple is notoriously secretive and has not announced plans for a new iPhone yet. It’s also unknown if the devices the person is holding are real, fake mockups, or prototypes Apple had tested at some point in the past. Considering the fact that the device in the video is almost similar to what we have seen in the recently leaked images of the Apple new flagship (iPhone 7). Those images have all pictured devices that look strikingly similar to the ones featured in the latest video, down to the antenna design changes and the dual speaker grills. While it’s hard to tell if the devices are really Apple’s next iPhone, the video shouldn’t be dismissed as a definite fake. As we all know nothing is confirmed from the leaked images or video till the time Apple reveals the device. Indeed, it has become increasingly difficult for Apple to stop product leaks. Over the last several years, its devices, like the iPhone SE, as well as their names, have leaked prior to the company’s announcement. In many cases, the leaks come from Apple’s massive supply chain and can sometimes come directly from people in China assembling the products. While Apple might be secretive, in other words, it can’t easily keep a lid on its suppliers. And evidence is mounting that perhaps these leaks really are the real deal. But if the leaks are real Apple devices—or something similar to what the company launches—they also suggest that this year’s iPhone won’t be a major design upgrade. As reported earlier, this year iPhone is expected to come with Minor upgrade on the design and technology and Apple will preserve the major changes for the next year when iPhone will complete 10 years of its launch. Reports also suggested that next year iPhone will be iPhone 8 rather than iPhone 7S. Another report suggested that iPhone 7 is going to be produced with an Intel & snapdragon chipsets. Recent leaked picture showed the varieties of the color iPhone 7 will have, killing the earlier rumors about the deep blue and dark black color replacing the most loved color of iPhone i.e. Space Gray. 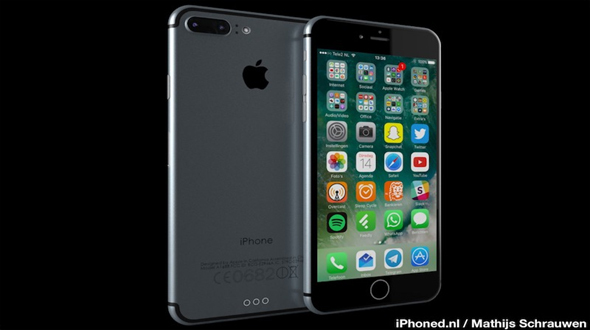 As far as the launch of iPhone 7 is concerned there is no update from Apple about the launch of the device but if we go by History, the device is expected to be launched in Spring of 2016 with iOS 10, usually Apple hold the event in the earlier September of the year, so we expect device to be launched at that time. Hope you have liked the Post do share your views and opinion about the leaks and what all feature you are expecting from new iPhone 7 in the comment section below. Fake. Did you see how THICK those were? Twice as thick as my 6S. HAHAHAHAHAHAHA!! !